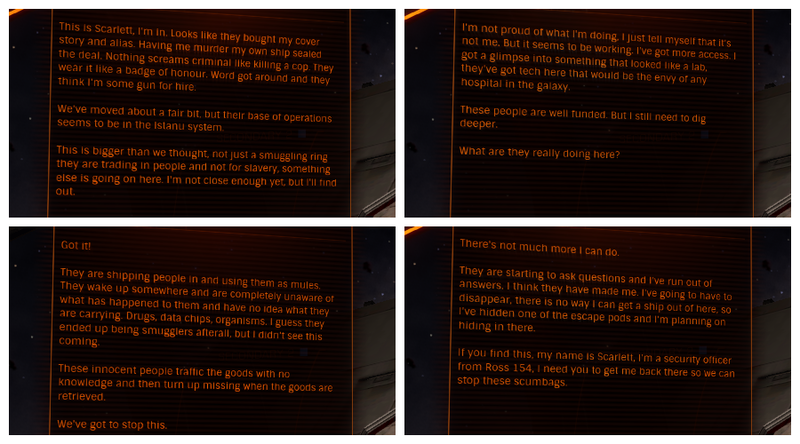 Following up on a lead I overheard in the Spinning Wheel Bar on Jameson Memorial, I made my way to Birkeland City in ROSS 154 to check out reports of a missing security officer. 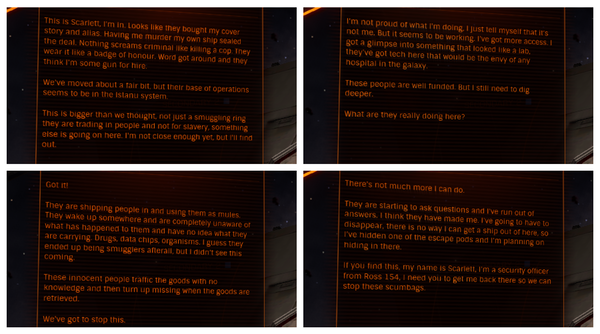 The short article lead me to ROSS 446. 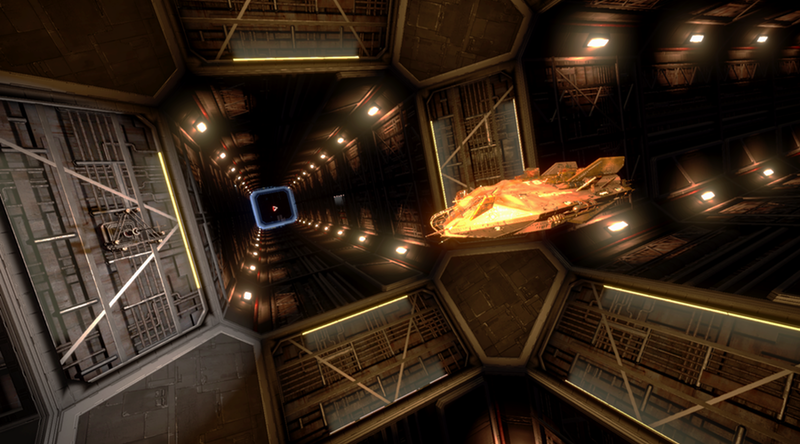 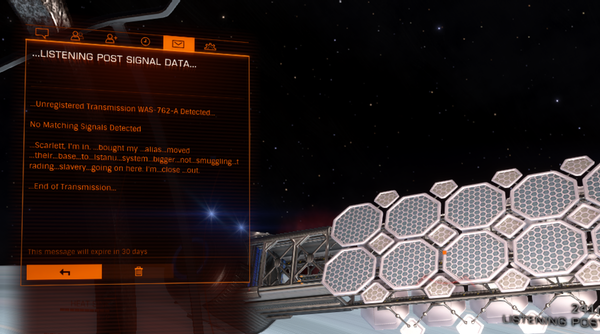 I was able to pick up the location beacon of a listening post in that system as soon as I dropped out of Hyperspace. 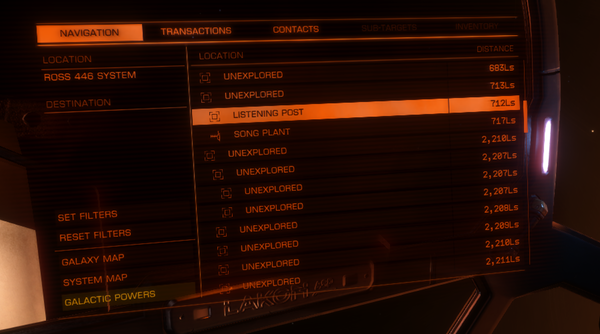 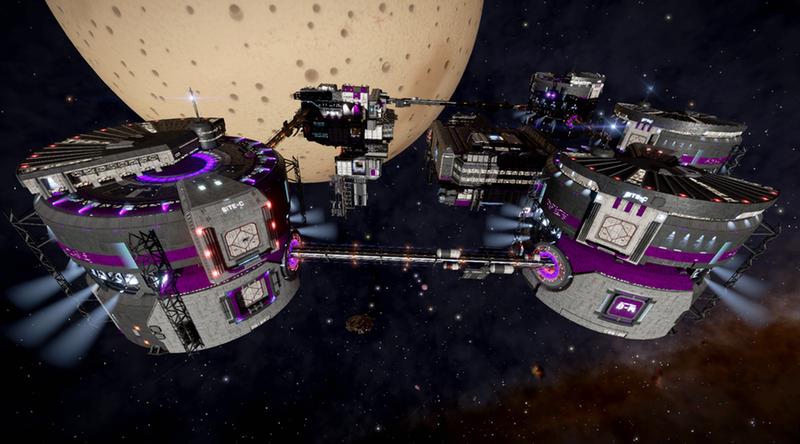 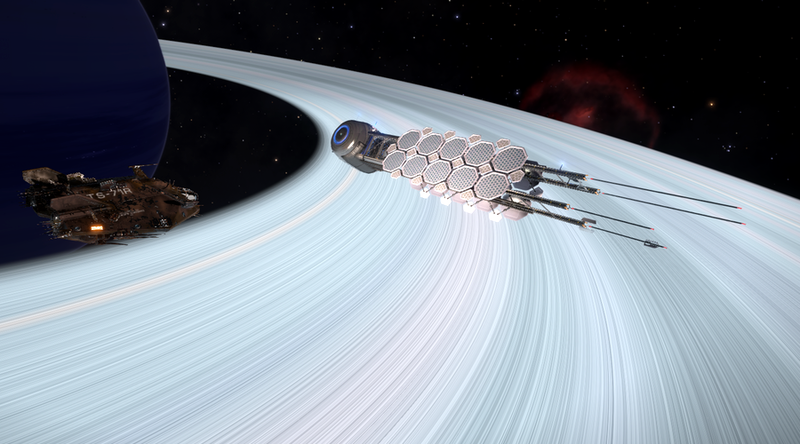 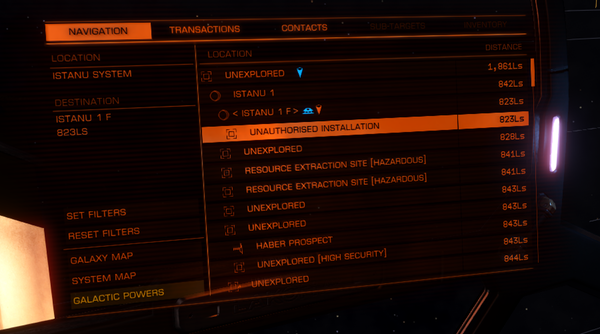 A quick scan of the listening post revealed some tantalizing clues and led me to venture to the ISTANU system. It took some scanning of the systems bodies, but eventually I located an Unauthorized Installation in orbit around ISTANU 1 F. What I found there is terrifying. The place is swarming with pirates. 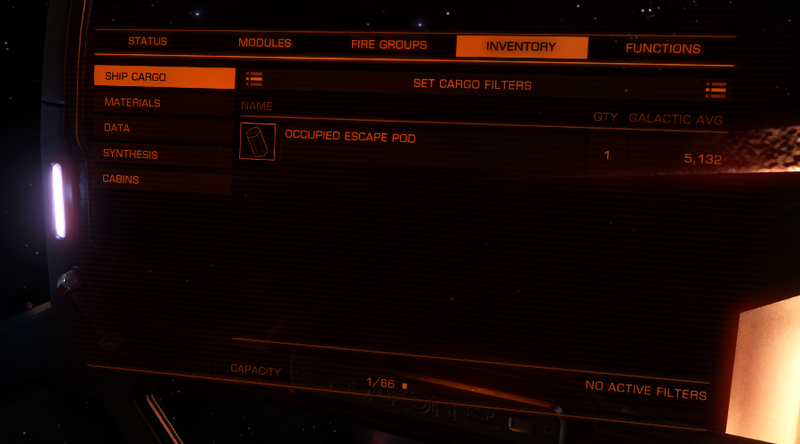 Scarlett left logs behind, and hopefully this Escape Pod I found is the missing officer. I’m returning it to the Search and Rescue offices on Birkeland City. 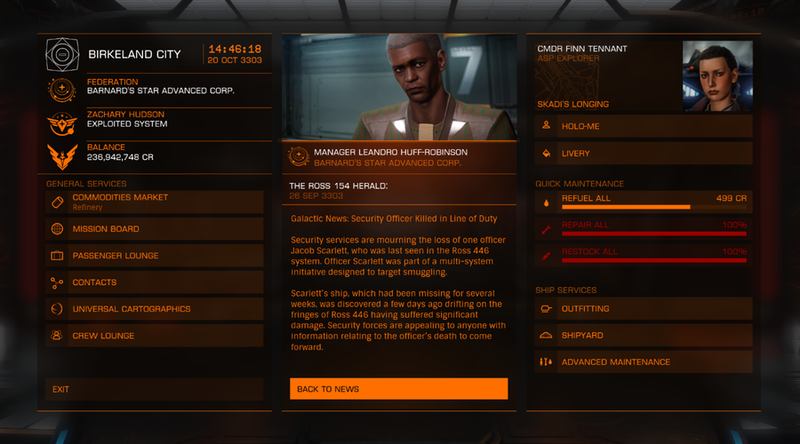 With some luck, Officer Scarlett’s sacrifices won’t be for naught. *Credit for the original discovery of this vignette goes to, CMDR Isokix.